Looking down to the Great Salt Lake is a surreal experience, not only do the colors change unexpectedly but also the surface-depth-bottom relations present visual riddles. There I was in the helicopter, looking down at a reddish-orange, or orangeish-red water not being able to figure out what lied on the surface and where the bottom was. An unexpected glow seemed to come from beneath the surface delineating shapes, lines; of what I could not tell. 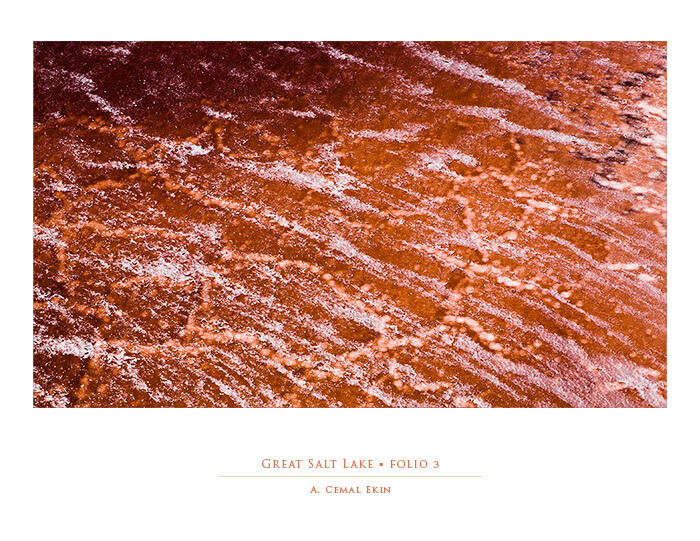 A new addition to the Great Salt Lake collection is the Folio 3 | The Glow Collection which includes 5 photographs.